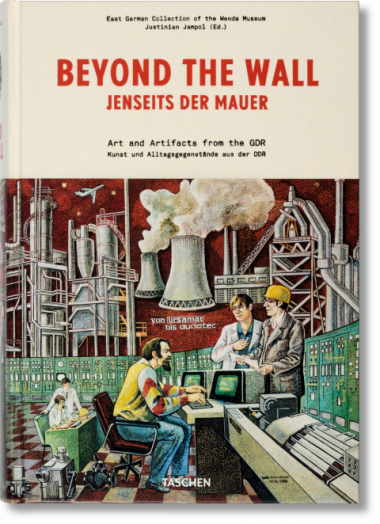 Beyond the Wall, TASCHEN’s groundbreaking volume on GDR visual and material culture, has won First Prize in the Book category at this year’s annual American Alliance of Museums (AAM) Publications Design Competition. This encyclopaedic tome features over 2500 items from the extraordinary Wende Museum collections, including an unprecedented spectrum of art, archives, and artifacts from socialist East Germany. The Alliance’s panel of expert judges recognized Justinian Jampol, Founder and Executive Director of the Wende Museum, and Benedikt Taschen for their invaluable contribution to a deeper understanding of the era. The AAM is the only organization representing the entire scope of museums and professionals in the United States. For more than 26 years, the Alliance has nurtured excellence in the graphic design of museum publications through the Museum Publications Design Competition, the only national, juried competition of its kind.